With Christmas and New Year on the cards, it becomes very important to make sure that your fridge functions properly. The owners of some of the famous restaurants ascertain that their cooling units for storage functions properly in order to cater to the groups of people coming to dine. Beers need to be stored in a chilled place. The food materials need to be kept fresh. The desserts have to be preserved. All these are possible only when the refrigerator provides the proper cooling. Any abnormal dip in the temperature is always going to alter the freshness, taste, and at times spoil the stored items leading to a loss. The eateries, in particular, therefore, should look out for the expert professionals who would carry out the scheduled maintenance just at the beginning of this summer eve. Checking if the Unit is Properly Cooling or not? The main work of the refrigerator is to extract the heat from the body and keep the substance cool. The interior of the unit needs to maintain an optimum temperature to ensure freshness. The experts check whether the unit is properly cooling or not. In addition to it, they also look out for if the fridge is able to maintain the required ambient temperature. In either of the cases, if the answer is not, then the proper initiative is taken to solve the problem. Checking if the Refrigerant Fluid is Leaking or not? The refrigerant fluid is reusable and is recycled in the entire system to ensure the cooling of the unit. 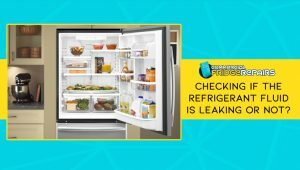 In case, if the refrigerant is leaking, then the unit is going to function improperly, and there would be insufficient cooling to keep the eatable fresh. In addition to this, the efficiency of the fridge is also reduced. If remains undetected, the entire unit is going to come to a halt. 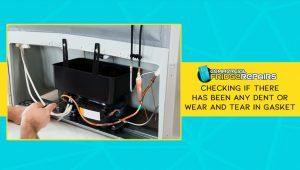 The professionals adept in fridge repairs in Sydney check out the leakage points and take precautionary steps if needed. The gasket present in the doors of the refrigerators acts as a sealant and prevents the cool air from escaping. If there is any dent or wear in the gasket, then the efficiency of the fridge reduces. Therefore, it is important to make sure that the refrigerator has the proper gasket. 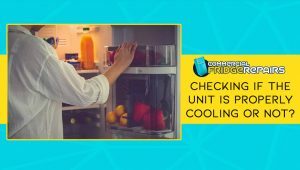 The reduction in the performance of the fridge leads to an increased electrical bill and at times, a complete breakdown of the unit. No one would love to see this during the peak of the time. Therefore, giving attention to this is always going to help you during the Christmas and New Year eve. 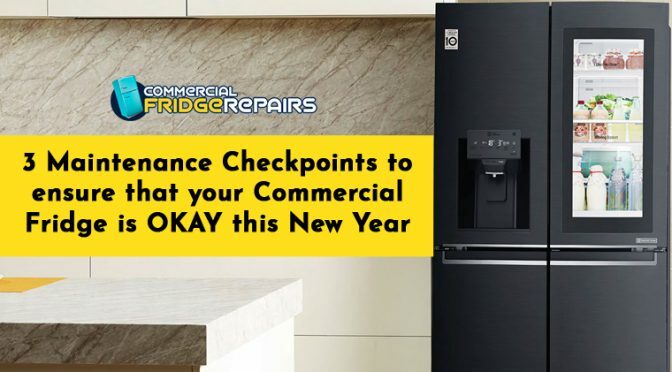 Hiring the best professional fridge repair company is always going to help you in keeping the fridge functioning. A general checklist of the things to be looked for is one of the parameters that ensure that the cuisines and the drink you serve to the people coming at your eatery remain fresh.